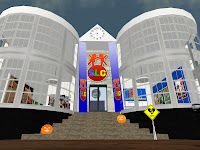 Welcome to the New SLChildren Groups webblog. We have created this page in an attempt to update resources for our members. In the youth centre the information boards never got updated :-p. With this site we hope information on shops, groups and clubs devoted to the Child Av community will be more up to date and make things easyer for you to explore our community. We will also be able to post info on Events around the SLC community.